French fries are an American staple. The salty satisfaction of a perfectly cooked french fry is a delicacy in this country. However, if one Harvard professor has his way, that will change, because, according to Eric Rimm, we are eating too many french fries. More: Head Over to McDonald’s & Get a 1-Cent Whopper at Burger King — Wait, What? So, just how many fries or, as Rimm called them in a recent interview with The New York Times, “starch bombs,” should we be eating? Six… six measly little sticks. Of course, one doesn’t have to be a rocket scientist to figure out that french fries are unhealthy. They are nutrition-less chunks of starch covered with salt and cooked in oil. However, the idea of eating six — and only six — seems, well, cruel. Now, Rimm didn’t suggest people order a full serving of fries and only eat six of them. He suggested restaurants should be more responsible about how they serve them. “There aren’t a lot of people who are sending back three-quarters of an order of French fries, I think it would be nice if your meal came with a side salad and six French fries,” Rimm tells The New York Times. But this writer? She says as long as you’re not eating them every day, just enjoy your occasional french fries. And it seems many agree. 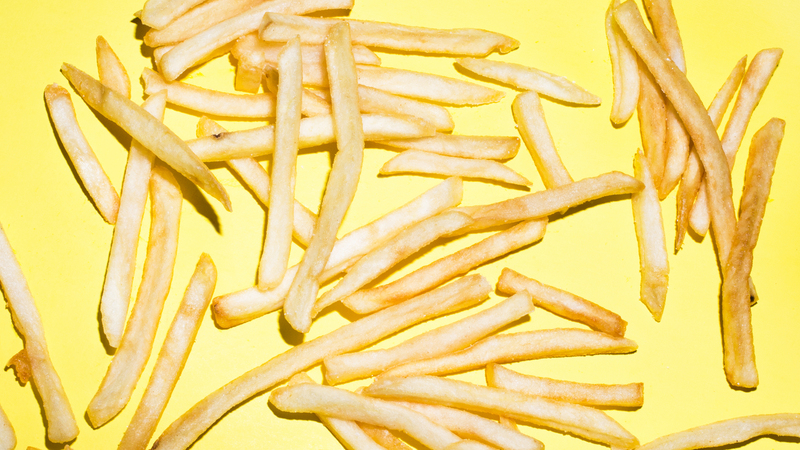 In fact, some french fry advocates took to Twitter to express their outrage. I run with scissors. And I eat more than six French fries. I'm going to die. The good news is the Department of Agriculture doesn’t agree. The USDA lists a serving size as three ounces, or about 12 to 15 fries. As for us, we suggest practicing a little self-control — as everything is OK in moderation.